Sounds from Spain is returning to the LAMC and is giving us a taste of some of the country’s brightest musical acts. Joining us at the LAMC this year are Fyahbwoy, Natos y Waor, Vega, Delaporte, and Moncho Chavea at the Highline Ballroom on Wednesday, July 11th. Sounds from Spain made its LAMC debut two years ago to rave reviews from outlets like Billboard, Paste, KCRW, EFE, and Fox News Latino among many others. 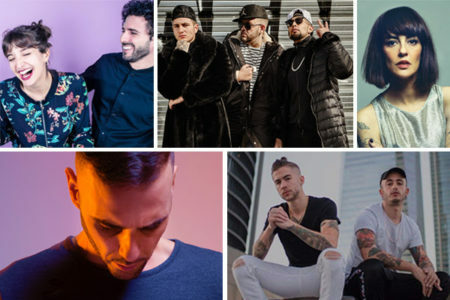 This year’s showcase promises to once again highlight Spain’s strong music scene with a lineup featuring some of the country’s up-and-coming, as well as more established, talent in a variety of genres. In addition to the showcase, Sounds from Spain will once again be at the LAMC conference site at the Stewart Hotel to interact with LAMC conference attendees. Stop by and say “hola!” to them and other Spanish music insiders who will be joining them this year!